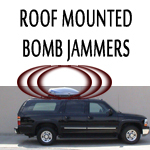 What are the benefits using a Roof Mounted Bomb Jammer over a jamming system installed inside a vehicle? Although both counter RCIED threats, the RF Jammer architecture in a Roof Mounted Bomb Jammer configuration is much different. Based on an RF Jamming System designed to defeat radio fired mines, the Roof Mounted series has a unique RF energy distribution structure. 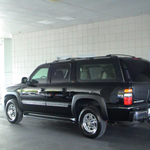 Some users of the armored vehicle jamming system prefer the Roof Mounted Bomb Jammer to save internal vehicle space. Other users who require an emphasis on the defeat of radio fired mines prefer this RCIED Jammer because it incorporates its structural frame with the antenna ground plane used in the Convoy Jamming System. 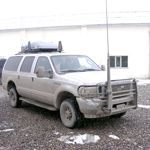 Electronic Warfare technology using our Bomb Jammer ™ line of ECM Jammers give those traveling in convoy vehicles the maximum protection required when dealing with RCIED and IED weapons such as roadside bombs triggered by remote control. 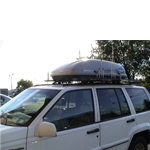 The Bomb Jammer is a jamming system used to counter RCIED threats, and its mounted design make it an ideal RF Jammer for SUV type vehicles. Outfitting an armored vehicle with an RF Jamming system such as our Bomb Jammer increases your chances of surviving an RCIED attack as well as an IED attack. 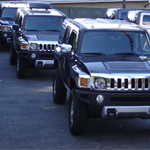 With an RCIED Jammer, a Bomb Jammer configuration is installed in multiple vehicles increase convoy security to defeat RCIEDs. With our convoy jamming system, we present electronic warfare technology using multiple ECM Jammers on convoy vehicles, yielding maximum protection. 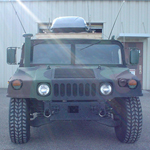 The vehicle jamming system is a Bomb Jammer used for the signal jamming of individual travelers in contrast to large convoys.